"To search the sacred Scripture is very good and most profitable for the soul. For, 'like a tree which is planted near the running waters,' so does the soul watered by sacred Scripture also grow hearty and bear fruit in due season," writes John of Damascus in Orthodox Faith (4.17). By helping us to read holy writings with ancient eyes, the church fathers help us drink deeply from the only water that can give us true life. 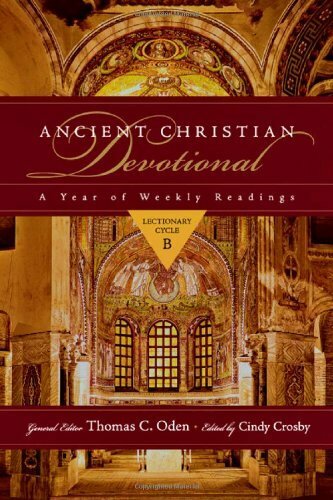 This guide to prayer and reflection combines excerpts from the writings of the church fathers as found in the Ancient Christian Commentary on Scripture with a simple structure for daily or weekly reading and prayer. 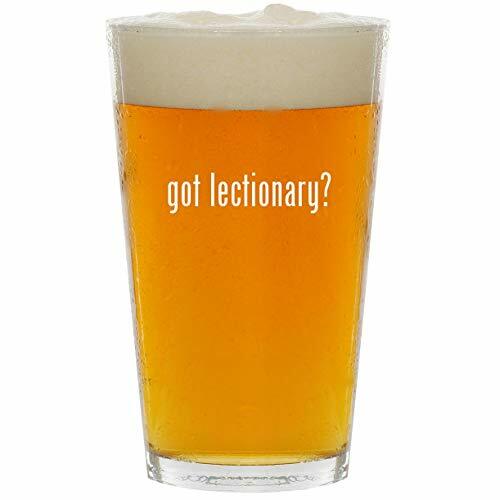 There are fifty-two weeks of readings following the weekly lectionary cycle A. You can read through them in order or by thematic interest. Each day you will also find a simple opening and closing prayer drawn from the prayers and hymns of the ancient church. Come and find the deep nourishment God offers through the insights of this "cloud of witnesses"--the ancient church fathers. 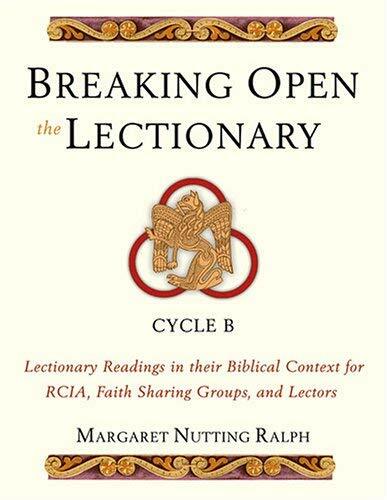 Will help those who Break open the Word in RCIA and those involved in Lectionary-based faith sharing or Bible study groups to hear the Word as a living Word and to know that the Word they are hearing is compatible with what the biblical authors are teaching. By allowing us to read holy writings with ancient eyes, the church fathers help us drink deeply from the only water that can give us true life. 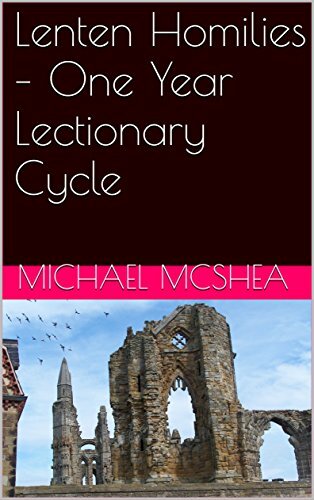 A follow-up to the previous Ancient Christian Devotional, which follows lectionary cycle A, this devotional guide follows lectionary cycle C, which begins in Advent 2009. 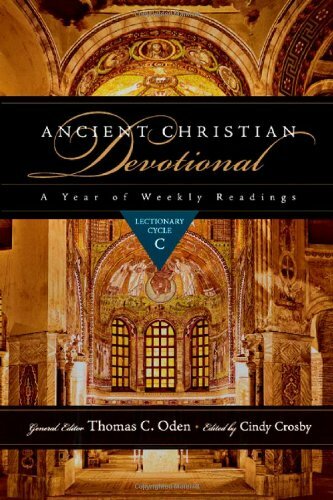 This guide to prayer and reflection combines excerpts from the writings of the church fathers as found in the Ancient Christian Commentary on Scripture with a simple structure for daily or weekly reading and prayer. 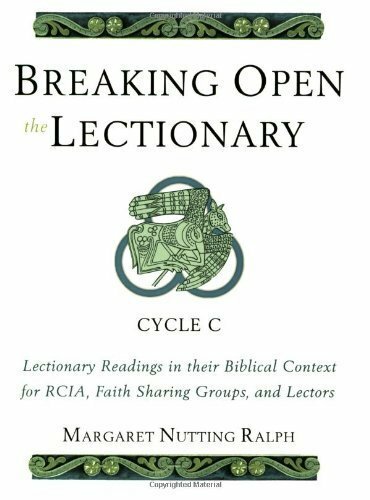 There are fifty-two weeks of readings following the weekly lectionary cycle C, which you can read through in order or by thematic interest. 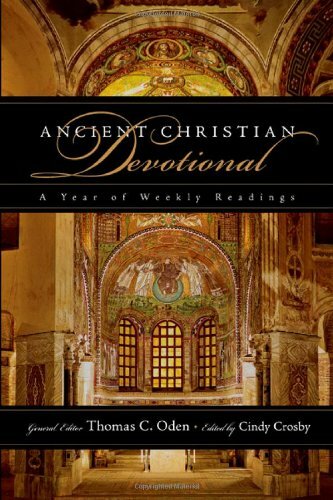 Each day you will also find a simple opening and closing prayer drawn from the prayers and hymns of the ancient church. Come and find the deep nourishment God offers. 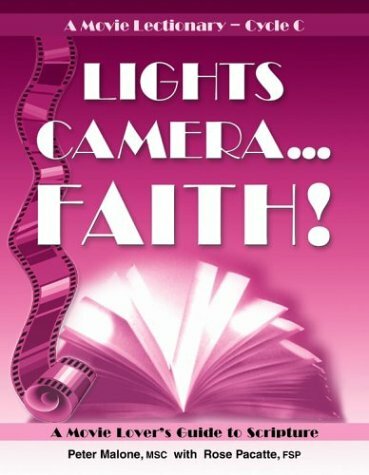 Malone and Pacatte create a dialogue between Scripture and film, engaging faith through culture and culture through faith in this exciting series. This volume provides a fresh take on the Scriptures through the lens of popular movies such as: About Schmidt, Good Will Hunting, Chariots of Fire, The Green Mile, On the Waterfront, A Few Good Men, and more. A movie synopsis, film commentary, film dialogue with the Sunday Scriptures, points for reflection and conversation, and suggested prayers are included. 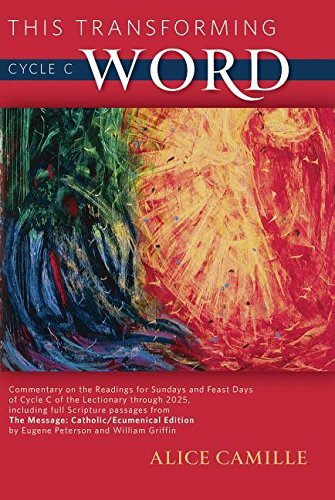 Award-winning author and Scripture commentator Alice Camille uses Scripture passages from The Message: Catholic/Ecumenical Edition to shed new light on the scriptures proclaimed at Sunday Mass. 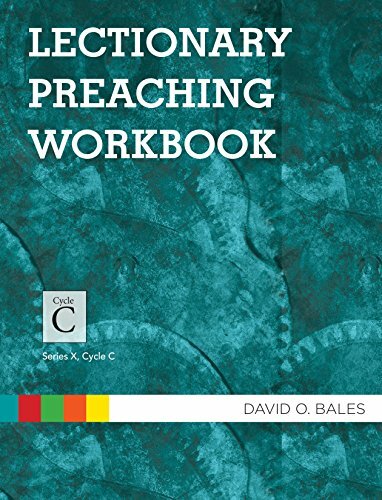 Questions and commentary for each reading make this guide ideal for personal reflection and small group discussion as well as preparation for lectors and homilists. 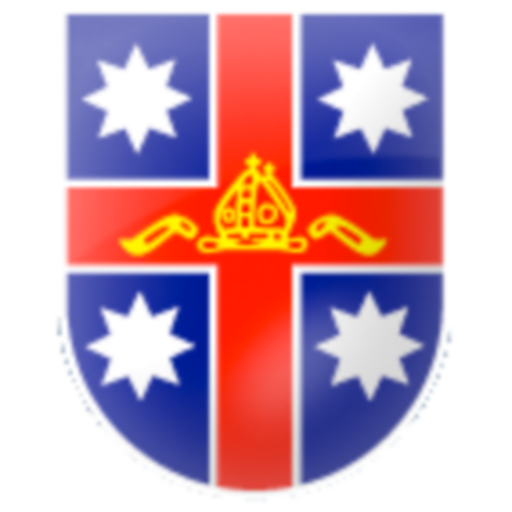 Included are the Sunday and Feast Day readings for the years 2016, 2019, 2022, and 2025. Sample homilies for the season of Lent on a one year lectionary cycle. Introduce children to God s Word with this wonderfully illustrated and fun-to-use resource that follows the gospels for every Sunday of the three-year Lectionary, as well as for the major feasts of the liturgical year. These pages will enable young children to learn about Jesus in an imaginative and enjoyable way. Each double-sided activity sheet reinforces the Sunday gospel message with pictures to color and complete, drawing activities, and simple puzzles. Wherever practical, the back page looks ahead to the following Sunday and motivates the children to explore the readings on their own. 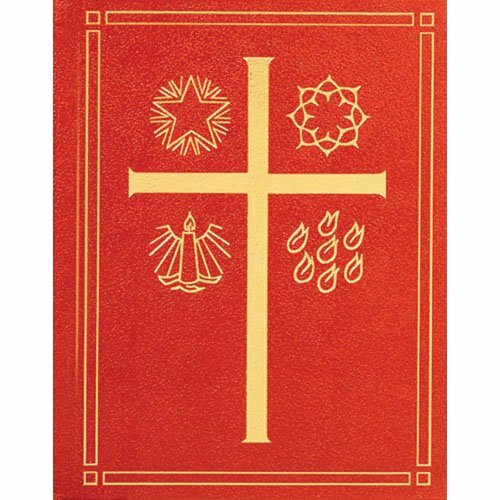 The sheets are ideal for use by catechists, teachers, group leaders, and parents. Introduce them as an additional resource in children s liturgy celebrations; use them to produce a children s newsletter or include them in the parish newsletter or magazine; use them in religion classes, parish groups, or at school. Simply photocopy as many as you need, one for each child. 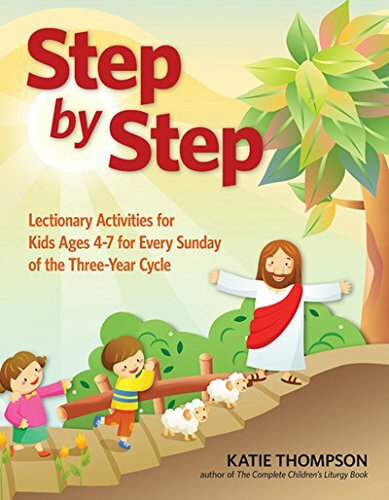 Together with its companion book, Footprints in Faith (for children 7-12 years old) Step by Step will be a valuable resource for your parish religious education program or school. 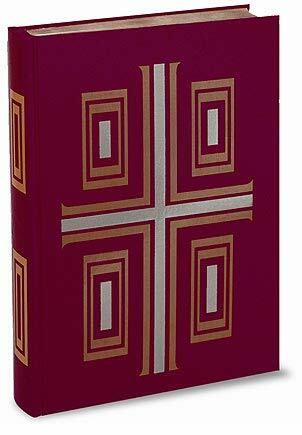 Based on the Pueblo Books LECTIONARY FOR MASS, the Ceremonial Edition is specifically designed for processional use. Its impressive size and beautiful art make it a handsome work for emphasizing the dignity of the Word. 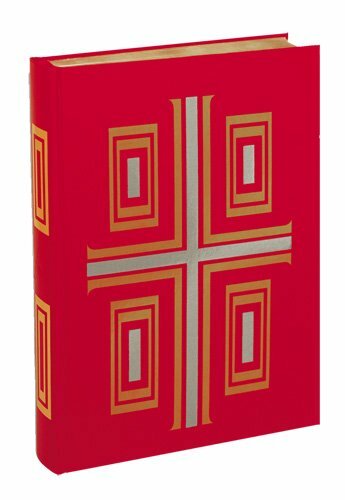 Special features of this edition: New American Bible translation Sunday texts for Cycle C Includes Solemnities & Feasts of the Lord and the Saints Impressive 10 x 14 size Gold-stamped front, back, and spine Ribbon marker Gilt-edged "
Today's young people are hungry for the word of God. Sharing the Sunday Scriptures with Youth is filled with a wide variety of relevant, action-oriented resources to help feed that hunger with God's word in the Sunday Scriptures. 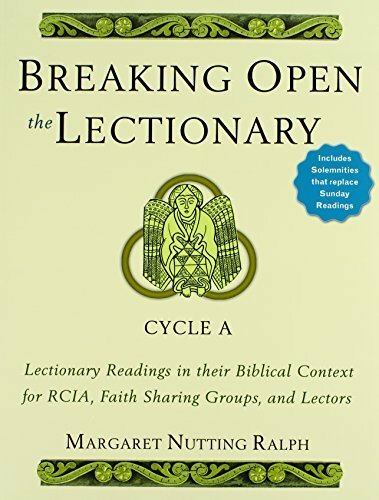 For each Sunday's lectionary reading of cycles A, B, and C, resources are included for Advent, Christmas, Lent, Easter, and Ordinary Time, based on lectionary and Scripture citations. A synopsis of the Scripture reading and a directed activity are also included, on themes that relate to teens, such as being open to God's will, beating temptation, and forgiving others. An index of themes and an index of Gospel citations round out each book. 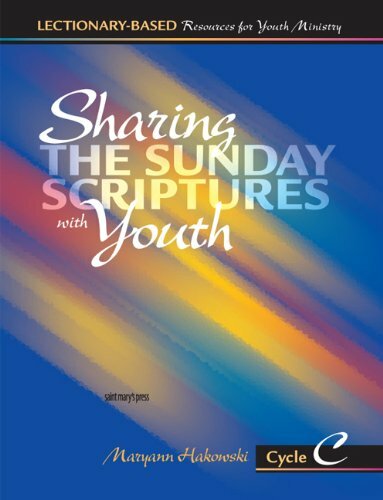 An excellent resource for youth ministers, high school religion teachers, parish leaders, and liturgists, Sharing the Sunday Scriptures with Youth: Cycle C is for 2007 and every third year thereafter. 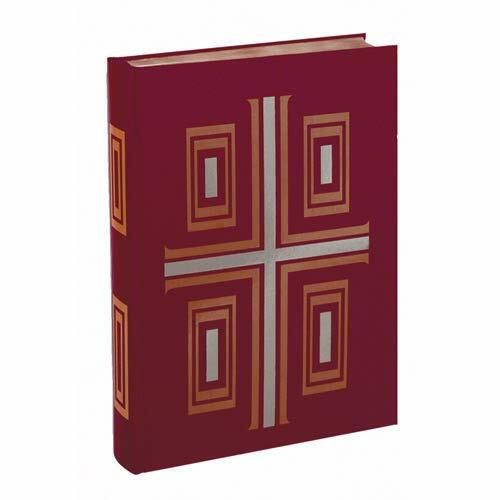 Based on the Pueblo Books LECTIONARY FOR MASS, the Ceremonial Edition is specifically designed for processional use. Its impressive size and beautiful art make it a handsome work for emphasizing the dignity of the Word. 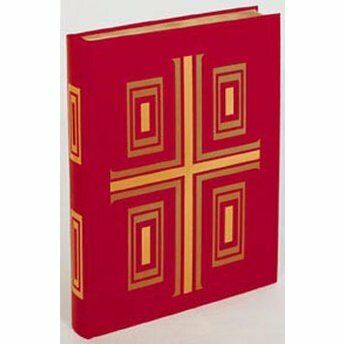 Special features of this edition: New American Bible translation Sunday texts for Cycle A Includes Solemnities & Feasts of the Lord and the Saints Impressive 10 x 14 size Gold-stamped front, back, and spine Ribbon marker Gilt-edged "